Premium Quality Prefinished Hand Scraped Maple Butcher Block Style Stair Tread. 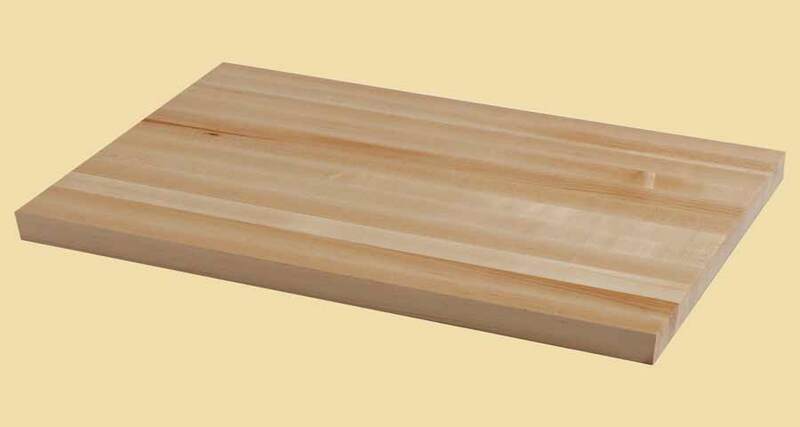 Fill in dimensions and options below for an instant price on any size Maple Butcher Block Style Stair Tread up to 4-1/2" thick, 29" wide and 120" long. This medium to heavy weight hardwood, whether it is call Hard Maple, Rock Maple, or Sugar Maple, is unique in that the sapwood is often preferred for use over the heartwood. 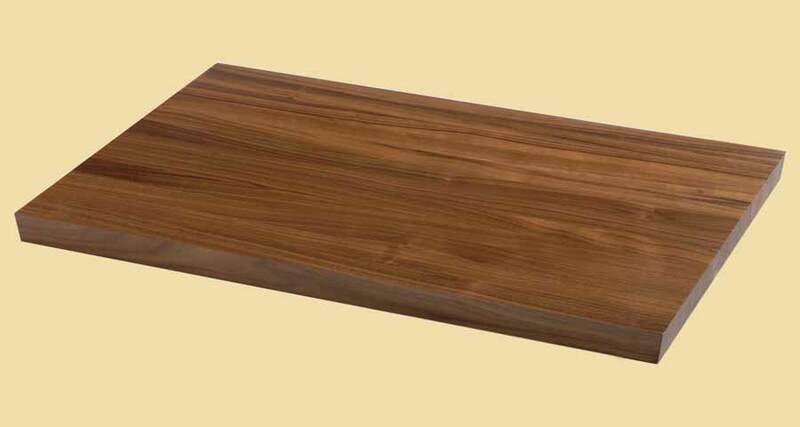 The sapwood most often has a straight grain, and is very light in color, showing a creamy, off-white shade. The fine texture of Hard Maple gives it a bright, clean look that works beautifully in simple, elegant rooms, as well as in warm, rustic areas. Quality construction along with genuine hand scraping make these treads an outstanding choice for a rustic look. For prefinished hand scraped butcher block treads, a special catalyzer is added to a commercial grade, 45 sheen conversion varnish. Three coats are applied to each tread. This finish is hard and durable! For prestained treads, a stain is applied, then three coats of varnish. If you choose to have your wood stair tread prestained, we will email you after the order is placed to find out which color you have chosen. You can select from any Woodwright color and choices are shown here. 1 S: This is the most common and less expensive choice. The face and nose will be fully sanded, along with any returns. The underside and back edge will be planed smooth but not fully sanded. They may contain knots and other aspects that are not visually appealing. This choice is appropriate where the underside and back edge will not be visible. Only the face, nose and about 1-1/2" underneath the nose will be prefinished (and prestained if ordered) on grade 1 S treads. If either of the sides will be exposed, please put a note in the comment section of your online order so we finish those too. 2 S: This is for stair treads where the top, bottom, front and back will be visible. They will all be fully sanded and visually appealing. There is an upcharge, so only choose this option when necessary. Grade 2 S treads will be scraped just like a normal tread. They will not be scraped on the bottom, back or sides. This is the appropriate choice where all sides, including the bottom, will be visible. They will all be prefinished (and prestained if ordered) and be visually appealing.